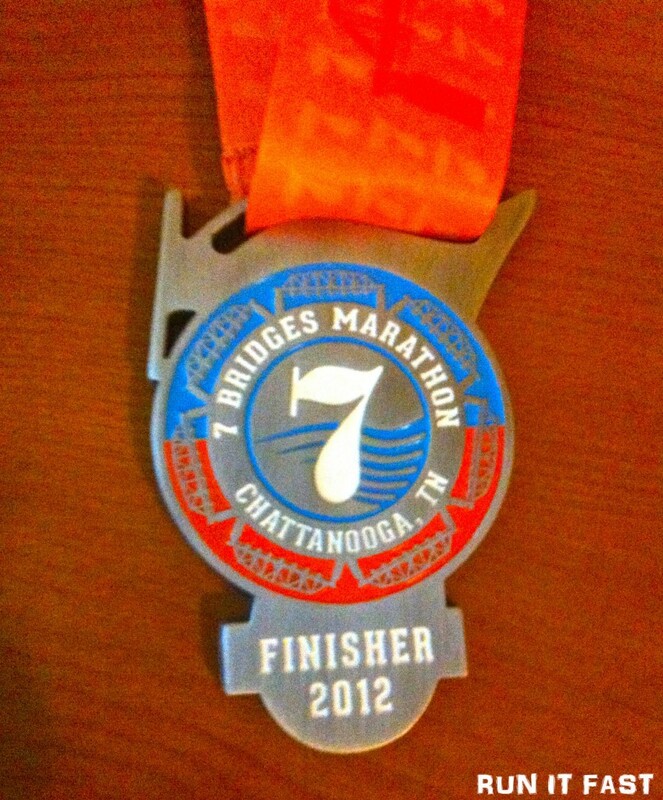 This is the medal for the 7 Bridges Marathon that was held on October 21, 2012 in Chattanooga, Tennessee. Solid medal. It has to be lucky since it’s shaped like a 7, right? 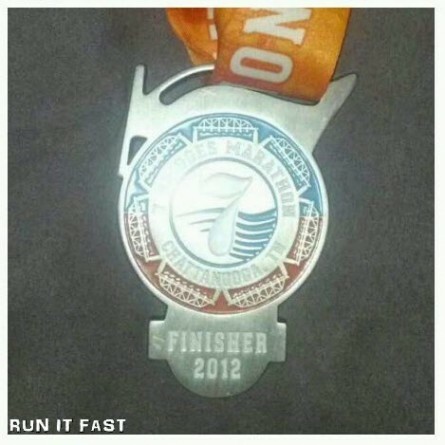 It certainly was for one runner…congratulations to RIF #155 Trent who PR’d the marathon!